2. Li ZK, Wan HF, Feng GH, Wang LY, He ZQ, Wang YK, Wang XJ, Li W*, Zhou Q* and Hu BY*. (2016) Birth of fertile bimaternal offspring following intracytoplasmic injection of parthenogenetic haploid embryonic stem cells. Cell Research 26(1): 135-138. 3. Li X, Cui XL, Wang JQ, Wang YK, Li YF, Wang LY, Wan HF, Li TD, Feng GH, Shuai L, Li ZK, Gu Q, Hao J, Wang L, Zhao XY, Liu ZH, Wang XJ, Li W* and Zhou Q*. (2016) Generation and application of mouse-rat allodiploid embryonic stem cells. Cell 164(1-2): 279-292. 4. Xiao W, Adhikari S, Dahal U, Chen YS, Hao YJ, Sun BF, Sun HY, Li A, Ping XL, Lai WY, Wang X, Ma HL, Huang CM, Yang Y, Huang N, Jiang GB, Wang HL, Zhou Q, Wang XJ, Zhao YL and Yang YG*. (2016) Nuclear m6A reader YTHCD1 regulates mRNA splicing. Molecular Cell 61(4): 507-519. 7. Castillo-González C, Liu XY, Huang CJ, Zhao CJ, Ma ZY, Hu T, Sun F, Zhou YJ, Zhou XP, Wang XJ and Zhang XR*. (2015) Geminivirus-encoded TrAP suppressor inhibits the histone methyltransferase SUVH4/KYP to counter host defense. Elife 4: e06671. 8. Shuai L, Wang YK, Dong MZ, Wang XP, Sang LS, Wang M, Wan HF, Luo GZ, Gu TT, Yuan Y, Feng CJ, Teng F, Li W, Liu XY, Li TD, Wang L, Wang XJ, Zhao XY and Zhou Q*. (2015) Durable pluripotency and haploidy in epiblast stem cells derived from haploid embryonic stem cells in vitro. Journal of Molecular Cell Biology 7(4): 326-337. 9. Liu YL, Su HD, Pang JL, Gao Z, Wang XJ, Birchler JA* and Han FP*. (2015) Sequential de novo centromere formation and inactivation on a chromosomal fragment in maize. Proc. Natl. Acad. Sci. USA 112(11): E1263-71. 11. Luo GZ, Yang W, Ma YK and Wang XJ*. (2014) ISRNA: an integrative online toolkit for short reads from high-throughput sequencing data. Bioinformatics 30: 434-436. 12. Liu YX, Wang M and Wang XJ*. (2014) Endogenous small RNA clusters in plants. Genomics Proteomics Bioinformatics 12: 64-71. 14. Li W, Li X, Li TD, Jiang MG, Wan HF, Luo GZ, Feng CJ, Cui XL, Teng F, Yuan Y, Zhou Q, Gu Q, Shuai L, Sha JH, Xiao YM, Wang L, Liu ZH, Wang XJ, Zhao XY and Zhou Q*. (2014) Genetic modification and screening in rat using haploid embryonic stem cells. Cell Stem Cell 14: 404-414. 15. Cui Y, Xiao Z, Chen T, Wei J, Chen L, Liu L, Chen B, Wang XJ, Li X and Dai JW*. (2014) The miR-7 identified from collagen biomaterial-based three-dimensional cultured cells regulates neural stem cell differentiation. Stem Cells and Development 23: 393-405. 16. Wu HJ, Wang ZM, Wang M and Wang XJ*. (2013) Wide-spread long non-coding RNAs (lncRNAs) as endogenous target mimics (eTMs) for microRNAs in plants. Plant Physiology 161: 1875-84. 18. Liu X, Zhang Y, Tong M, Liu XY, Luo GZ, Xie DF, Ren SF, Bai DH, Wang L, Zhou Q and Wang XJ*. (2013) Identification of a small molecule 1,4-bis-[4-(3-phenoxy-ropoxy)-but-2-ynyl]-piperazine as a novel inhibitor of the transcription factor p53. Acta Pharmacologica Sinica 34: 805–810. 19. Li W, Yang W and Wang XJ*. (2013) Pseudogenes: pseudo or real functional elements? Journal of Genetics and Genomics 40: 171-177. 21. Ling HQ*, Zhao SC, Liu DC, Wang JY, Sun H, Zhang C, Fan HJ, Li D, Dong LL, Tao Y, Gao C, Wu HL, Li YW, Cui Y, Guo XS, Zheng SS, Wang B, Yu K, Liang QS, Yang WL, Lou XY, Chen J, Feng MJ, Jian JB, Zhang XF, Luo GB, Jiang Y, Liu JJ, Wang ZB, Sha YH, Zhang BR, Wu HJ, Tang DZ, Shen QH, Xue PY, Zou SH, Wang XJ, Liu X, Wang FM, Yang YP, An XL, Dong ZY, Zhang KP, Zhang XQ, Luo MC, Dvorak J, Tong YP, Wang J, Yang HM, Li ZS*, Wang DW*, Zhang AM* and Wang J*. (2013) Draft genome of the wheat A-genome Triticum urartu. Nature 496: 87-90. 23. Li RC, Tao J, Guo YB, Wu HD, Liu RF, Bai Y, Lv ZZ, Luo GZ, Li LL, Wang M, Yang HQ, Gao W, Han QD, Zhang YY, Wang XJ, Xu M* and Wang SQ*. (2013) In vivo suppression of microRNA-24 prevents the transition toward decompensated hypertrophy in aortic-constricted mice. Circulation Research 112: 601-605. 25. Fu SL, Lv ZL, Gao Z, Wu HJ, Pang JL, Zhang B, Dong QH, Guo X, Wang XJ, Birchler JA* and Han F*. (2013) De novo centromere formation on a chromosome fragment in maize. Proc. Natl. Acad. Sci. USA 110: 6033-6036. 26. Zheng G, Dahl JA, Niu Y, Fedorcsak P, Huang CM, Li CJ, Vagbo CB, Shi Y, Wang WL, Song SH, Lu Z, Bosmans RP, Dai Q, Hao YJ, Yang X, Zhao WM, Tong WM, Wang XJ, Bogdan F, Furu K, Fu Y, Jia G, Zhao X, Liu J, Krokan HE, Klungland A, Yang YG* and He C*. ALKBH5 is a mammalian RNA demethylase that impacts RNA metabolism and mouse fertility. Molecular Cell 10: 18-29. 27. Shi ZM, Luo GZ, Fu LJ, Fang ZD, Wang XJ and Li XC*. (2013) miR-9 and miR-140-5p target FoxP2 and are regulated by the social context of song behavior in zebra finches. Journal of Neuroscience 16: 16510-16521. 28. Niu YM, Zhao X, Wu YS, Li MM, Wang XJ and Yang YG*. (2013) N6-methyl- adenosine (m6A) in RNA: an old modification with a novel epigenetic function. Genomics Proteomics Bioinformatics 11: 8-17. 29. Li W, Shuai L, Wan HF, Dong MZ, Wang M, Sang LS, Feng CJ, Luo GZ, Li TD, Li X, Wang LB, Zheng QY, Sheng C, Wu HJ, Liu ZH, Liu L, Wang L, Wang XJ, Zhao XY* and Zhou Q*. (2012) Androgenetic haploid embryonic stem cells produce live transgenic mice. Nature 490: 407-411. 32. Wu HJ, Ma YK, Chen T, Wang M and Wang XJ*. (2012) PsRobot: a web-based plant small RNA meta-analysis toolbox. Nucleic Acids Research 40: W22-W28. 33. Zhao YT, Wang M, Fu SX, Yang WC, Qi CK and Wang XJ*. (2012) Small RNA profiling in two Brassica napus cultivars identifies microRNAs with oil production and developmental correlated expressions and new small RNA classes. Plant Physiology 158: 813-823. 35. Du YY, Gao C, Liu ZY, Wang L, Liu B, He F, Zhang T, Wang Y, Wang XJ, Xu MJ, Zhu Y, Xu QB, Wang X* and Kong W*. (2012) Up-regulation of ADAMTS-7 by miR-29 expression mediates vascular smooth muscle calcification. Arteriosclerosis, Thrombosis, and Vascular Biology 32: 2580-2588. 36. Zhang C, Xu YY, Guo SY, Zhu JY, Huan Q, Liu HH, Wang L, Guo GZ, Wang XJ and Chong K*. (2012) Dynamics of brassinosteroid response modulated by negative regulator LIC in rice. PLoS Genetics 8: e1002686. 37. Woo J, MacPherson CR, Liu J, Wang H, Kiba T, Hannah MA, Wang XJ, Bajic VB and Chua NH*. (2012) The response and recovery of the Arabidopsis thaliana transcriptome to phosphate starvation. BMC Plant Biology 12: 62. 38. Song XM, Li PC, Zhai JX, Zhou M, Ma LJ, Liu B, Jeong DH, Nakano M, Cao SY, Liu CY, Chu CC, Wang XJ, Green PJ, Meyers BC and Cao XF*. (2012) Roles of DCL4 and DCL3b in rice phased small RNA biogenesis. The Plant Journal 69: 462-474. 39. Xu N, Li Y, Zhao YT, Guo L, Fang YY, Zhao JH, Wang XJ, Huang L and Guo HS*. (2012) Identification and characterization of small RNAs in the hyperthermophilic archaeon Sulfolobus solfataricus. PLoS One 7: e35306. 40. Sheng C, Zheng QY, Wu JY, Xu Z, Wang LB, Li W, Zhang HJ, Zhao XY, Liu L, Wang ZW, Guo CL, Wu HJ, Liu ZH, Wang L, He SG, Wang XJ, Chen ZG* and Zhou Q*. (2012) Direct reprogramming of sertoli cells into multipotent neural stem cells by defiend factors. Cell Research 22: 208-218. 42. Cui H*, Zhang ST, Yang HJ, Ji H and Wang XJ. (2011) Gene expression profile analysis of tobacco leaf trichomes. BMC Plant Biology 11: 76. 43. Lei MG, Liu YD, Zhang BC, Zhao YT, Wang XJ, Zhou YH, Raghothama KG and Liu D*. (2011) Genetic and genomic evidence that sucrose is a global regulator of plant responses to phosphate starvation in Arabidopsis. Plant Physiology 156: 1116-1130. 44. Liang H, Zhao YT, Zhang JQ, Wang XJ, Fang RX* and Jia YT*. (2011) Identification and functional characterization of small non-coding RNAs in Xanthomonas oryzae pathovar oryzae. BMC Genomics 12: 87. 45. Wong CE, Zhao YT, Wang XJ, Croft L, Wang ZH, Haerizadeh F, Mattick JS, Singh MB, Carroll BJ and Bhalla PL*. (2011) MicroRNAs in the shoot apical meristem of soybean. Journal of Experimental Botany 62: 2495-2506. 46. Wang JL, Liu DC, Guo XL, Yang WL, Wang XJ, Zhan KH and Zhang AM*. (2011) Variability of gene expression after polyhaploidization in wheat (Triticum aestivum L.). Genes Genomics Genetics 1: 27-33. 47. Li W, Zhao XY, Wan HF, Zhang Y, Liu L, Zhuo L, Wang XJ, Wang L* and Zhou Q*. (2011) iPS cells generated without c-Myc have active Dlk1-Dio3 region and are capable of producing full-term mice through tetraploid complementation. Cell Research 21: 550-553. 48. Tong M, Lv Z, Liu L, Zhu H, Zheng QY, Zhao XY, Li W, Wu YB, Zhang HJ, Wu HJ, Li ZK, Zeng FY, Wang L, Wang XJ, Sha JH* and Zhou Q*. (2011) Mice generated from tetraploid complementation competent iPS cells show similar developmental features as those from ES cells but are prone to tumorigenesis. Cell Research 21: 1634-1637. 51. Yang W, Zhou Q and Wang XJ*. (2010) Regulation beyond genome sequences: DNA and histone methylation in embryonic stem cells. Frontier of Biology 5: 41-47. 52. Li Y, Liu XY, Huang L, Guo HS and Wang XJ*. (2010) Potential coexistence of both bacterial and eukaryotic small RNA biogenesis and functional related protein homologs in Archaea. Journal of Genetics and Genomics 37: 493-503. 53. Xiong XH, Lu Y, Zhang LB, Wang B, Zhao YT, Wang XJ, Huo XF, Shen Y, Liang ZC* and Chen MH*. (2010) Discovery of novel cell proliferation-enhancing gene by random siRNA library based combinatorial screening. Combinatorial Chemistry & High Throughput Screening 13: 798-806. 54. Jian XY, Zhang L, Li GL, Zhang L, Wang XJ, Cao XF, Fang XH and Chen F*. (2010) Identification of novel stress-regulated microRNAs from Oryza sativa L. Genomics 95: 47-55. 56. Liu XY, Luo GZ, Bai XJ and Wang XJ*. (2009) Bioinformatic analysis of microRNA biogenesis and function related proteins in eleven animal genomes. Journal of Genetics and Genomics 36: 591-601. 57. Ha M, Lu J, Tian L, Ramachandran V, Kasschau KD, Chapman EJ, Carrington JC, Chen X, Wang XJ and Chen ZJ*. (2009) Small RNAs serve as a genetic buffer against genomic shock in Arabidopsis interspecific hybrids and allopolyploids. Proc. Natl. Acad. Sci. USA 106: 17835-17840. 58. Wuriyanghan H, Zhang B, Cao WH, Ma B, Lei G, Liu YF, Wei W, Wu HJ, Chen LJ, Chen HW, Cao YR, He SJ, Zhang WK, Wang XJ, Chen SY and Zhang JS*. (2009) The ethylene receptor ETR2 delays floral transition and affects starch accumulation in rice. Plant Cell 21: 1473-1494. 59. Besecker MI, Harden ME, Li G, Wang XJ and Griffiths A*. (2009) Discovery of herpes B virus-encoded microRNAs. Journal of Virology 83: 3413-3416. 60. Zhou YH, Li SB, Qian Q, Zeng DL, Zhang M, Guo LB, Liu XL, Zhang BC, Deng LW, Liu XF, Luo GZ, Wang XJ and Li JY*. (2009) BC10, a DUF266-containing and golgi-located type II membrane protein, is required for cell wall biosynthesis in rice (Oryza sativa L.). The Plant Journal 57: 446-462. 61. Huang YH, Huang XH, Liu H, Gong J, Ouyang ZL, Cui HC, Cao JH, Zhao YT, Wang XJ, Jiang YL* and Qin QW*. (2009) Complete sequence determination of a novel reptile iridovirus isolated from soft-shelled turtle and evolutionary analysis of iridoviridae. BMC Genomics 10: 224. 62. Zhang Y, Wang J, Huang SJ, Zhu XP, Liu J, Yang N, Song DD, Wu RM, Deng W, Skogerbø G, Wang XJ, Chen RS* and Zhu DH*. (2009) Systematic identification and characterization of chicken (Gallus gallus) ncRNAs. Nucleic Acids Research 37: 6562-6574. 63. Ruan MB, Zhao YT, Meng ZH, Wang XJ* and Yang WC*. (2009) Conserved miRNA analysis in Gossypium hirsutum through small RNA sequencing. Genomics 94: 263-268. 64. Wang YW, Li PC, Cao XF, Wang XJ, Zhang AM and Li X*. (2009) Identification and expression analysis of miRNAs from nitrogen-fixing soybean nodules. Biochemical Biophysical Research Communications 378: 799-803. 65. Zheng Q and Wang XJ*. (2008) GOEAST: a web-based software toolkit for Gene Ontology enrichment analysis. Nucleic Acids Res. 36: W358-W363. 66. Mu JY, Tan HL, Zheng Q, Fu FY, Liang Y, Zhang J, Yang XH, Wang T, Chong K, Wang XJ and Zuo JR*. (2008) LEAFY COTYLEDON1 is a key regulator of fatty acid biosynthesis in Arabidopsis thaliana. Plant Physiology 148: 1042-1054. 67. Lu FL, Li GL, Cui X, Liu CY, Wang XJ and Cao XF*. (2008) Comparative analysis of JmjC domain-containing proteins in higher plants and human reveals potential histone demethylases in Arabidopsis and rice. Journal of Integrative Plant Biology 50: 886-896. 70. Liu B, Chen ZY, Song XW, Liu CY, Cui X, Zhao XF, Fang J, Xu WY, Zhang HY, Wang XJ, Chu CC, Deng XW, Xue YB and Cao XF*. (2007) Oryza sativa Dicer-like4 reveals a key role for small interfering RNA silencing in plant development. Plant Cell 19: 2705-2718. 71. Li PJ, Wang YH, Qian Q, Fu ZM, Wang M, Zeng DL, Li BH, Wang XJ and Li JY*. (2007) LAZY1 controls rice shoot gravitropism through regulating polar auxin transport. Cell Research 15: 402-410. 72. Liu XQ, Bai XQ, Wang XJ and Chu CC*. (2007) OsWRKY71, a rice transcription factor, is involved in rice defense response. Journal of Plant Physiology 164: 969-979. 73. Wang H, Chua NH and Wang XJ*. (2006) Prediction of trans-antisense transcripts in Arabidopsis thaliana. Genome Biology 7: R92. 74. Qi YJ, He XY, Wang XJ, Kohany O, Jurka J and Hannon GJ*. (2006) Distinct catalytic and non-catalytic roles of ARGONAUTE4 in RNA-directed DNA methylation. Nature 443: 1008-1012. 76. Li G, Tao S and Wang XJ*. (2006) Sequence and epitope analysis of surface proteins of avian influenza H5N1 viruses from Asian patients. Chinese Science Bulletin 51: 472-2481. 77. Liu J and Wang XJ*. (2006) An integrative analysis of the effects of auxin on jasmonic acid biosynthesis in Arabidopsis thaliana. Journal of Integrative Plant Biology 48: 110-114. 78. Luo AD, Qian Q, Yin HF, Liu XQ, Yin CX, Lan Y, Tang JY, Tang ZS, Cao SY, Wang XJ, Xia K, Fu XD, Luo D* and Chu CC*. (2006) EUI1, encoding a putative cytochrome P450 monooxygenase, regulates the internodes elongation by modulating GA responses in rice. Plant Cell Physiology 47: 181-191. 79. Wang XJ, Gaasterland T and Chua NH*. (2005) Genome-wide prediction and identification of cis-natural antisense transcripts in Arabidopsis thaliana. Genome Biology 6: R30. 80. 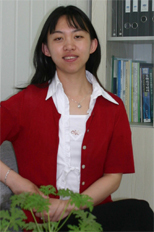 Liu XQ, Bai XQ, Qian Q, Wang XJ, Chen MS and Chu CC*. (2005) OsWRKY03, a rice transcriptional activator that functions in defense signaling pathway upstream of OsNPR1. Cell Research 15: 593-603. 81. Wang XJ, Reyes JL, Chua NH and Gaasterland T*. (2004) Prediction and identification of Arabidopsis thaliana microRNA genes and their mRNA targets. Genome Biology 5: R65. 82. Hoth S*, Ikeda Y, Morganteb M, Wang XJ, Zuo JR, Hanafey MK, Gaasterland T, Tingey SV and Chua NH. (2003) Monitoring genome-wide changes in gene expression in response to endogenous cytokinin reveals targets in Arabidopsis thaliana. FEBS Letters 554: 373-380. 83. Wang XJ, Ching YP, Lam WH, Qi Z, Zhang M and Wang JH*. (2000) Identification of a common protein association region in the neuronal Cdk5 activator. Journal of Biological Chemistry 275: 31763-31769.